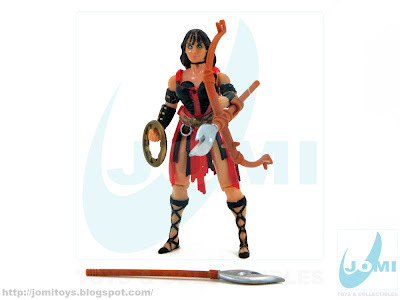 A Toy Biz figure from 1996, also called Xena "II", this figure captures the image of its line in a heroic fashion. Included accessories. Charkram, Bow and Arrows. 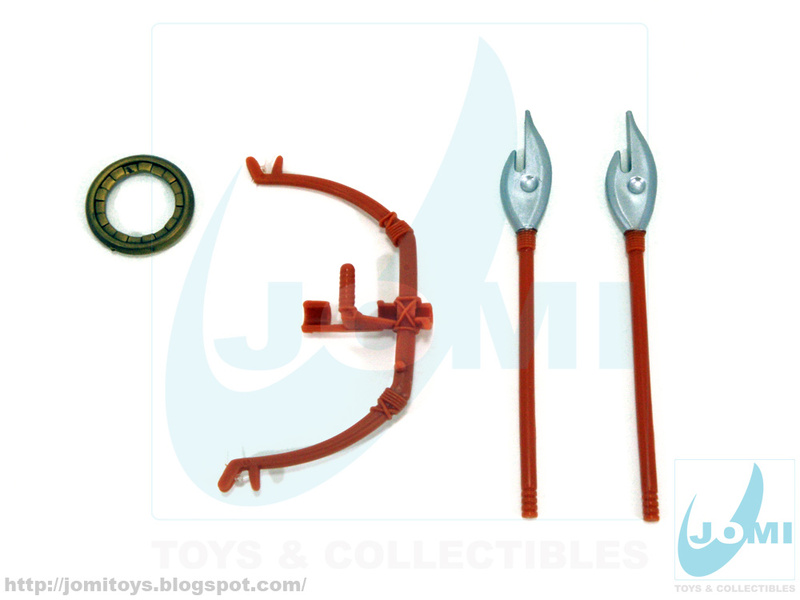 The arrows can actually be launched since the bow comes with a nylon string. Civilian outfit. 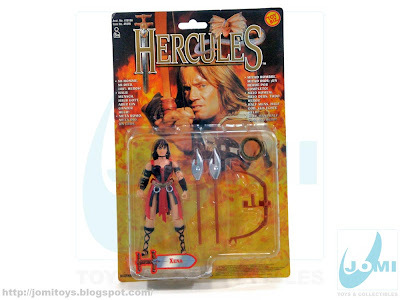 An overall interesting figure, it reflects some of the limitations of most of the 90s figures. Poor articulation. One closed fist, meaning only one hand can grab accessories. Xena 2 "in Warrior Disguise" comes with a removable gown, and there´s a common confusion about it. 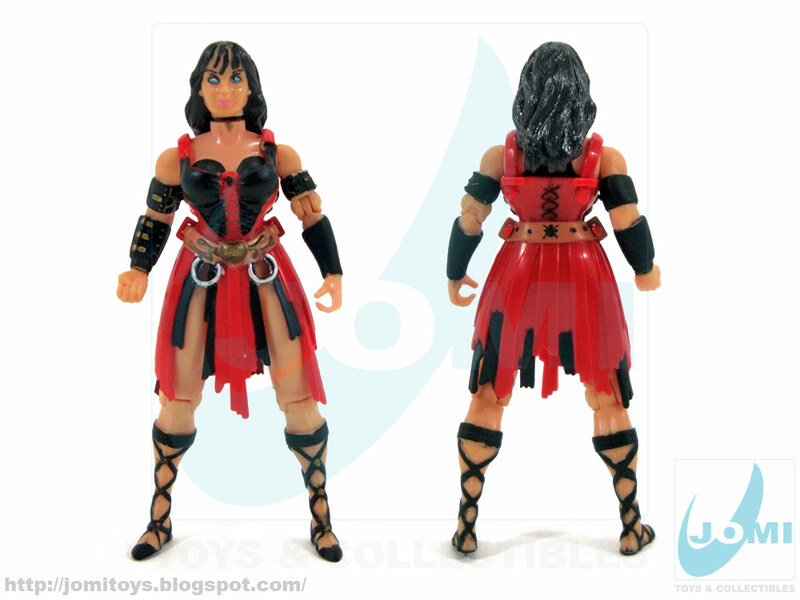 Some call it Xena with removable warrior disguise, making this redish outfit the warrior gown, but on the back of the card it is explained how to remove Princess Warrior outfit by sliding civilian outfit over her head. The recognizable image from the Xena Princess Warrior series . 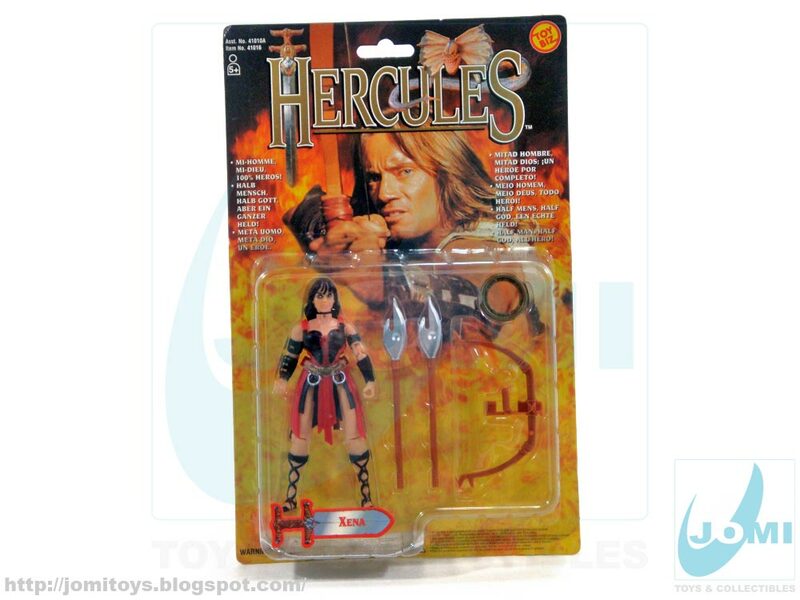 Molded after Lucy Lawless , the actress playing Xena.Not bad at all. Some similarities!